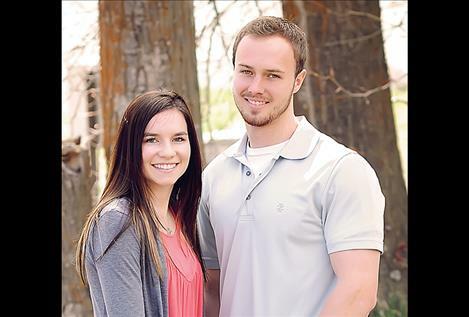 POLSON — Bryan and Liana Zimmerman of Polson are proud to announce the engagement of their daughter Whitney Jo Zimmerman of Kalispell to Zane William Hubble of Kalispell. Whitney is a 2013 graduate of Polson High School and is currently pursuing a degree in healthcare administration at Flathead Valley Community College while employed at Trail West Bank in Kalispell. Bryan is the son of Rick Hubble of Bountiful, Utah, and Jill Hubble also of Bountiful, Utah. The groom-to-be is a graduate of Bountiful High School and is currently attending Flathead Valley Community College pursuing a degree as a physical therapy assistant while working at Zimmco Inc. in Polson. The couple is planning an Aug. 5, 2016, wedding at the Salt Lake City Temple in Utah.